MTBE - View topic - New Bike Day! Posted: Sun Jul 13, 2014 1:20 pm Post subject: New Bike Day! Well yeah, its a new frame and a few parts. Going to be my little summer project. Been off school for about a month now and dont go back till September, so im getting quite bored at home. 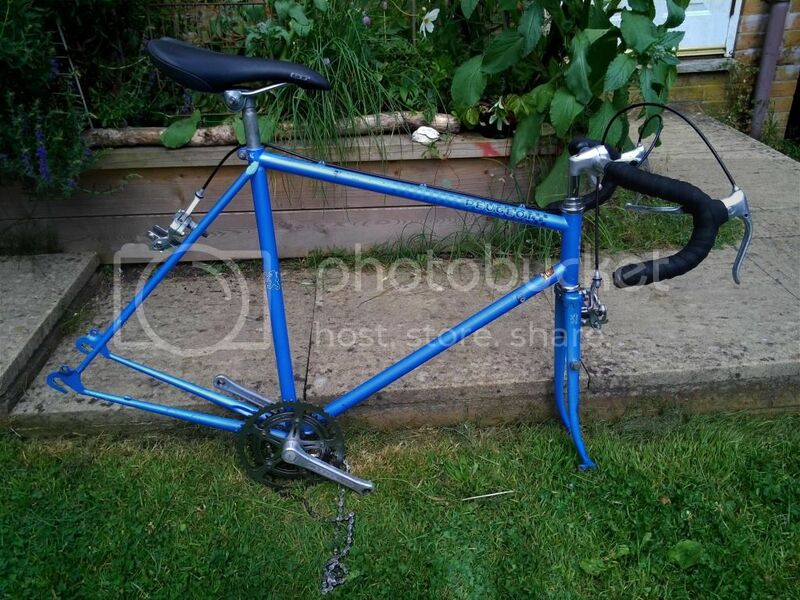 Found this little gem on Ebay... Luckily the seller was over in Southampton so a quick boat journey across the water and back and the bike was soon in my garden. 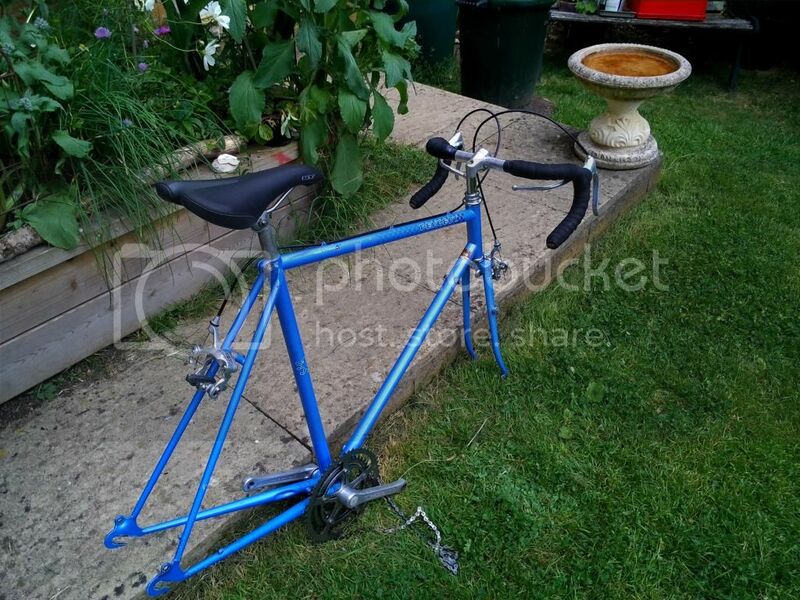 Need to get a few things till its rideable... A Wheelset, going to go for a Flip Flop hub, fixed on one side, freewheel on the other Will need 2 sprockets, a chain, some pedals and tyres before its ride able. 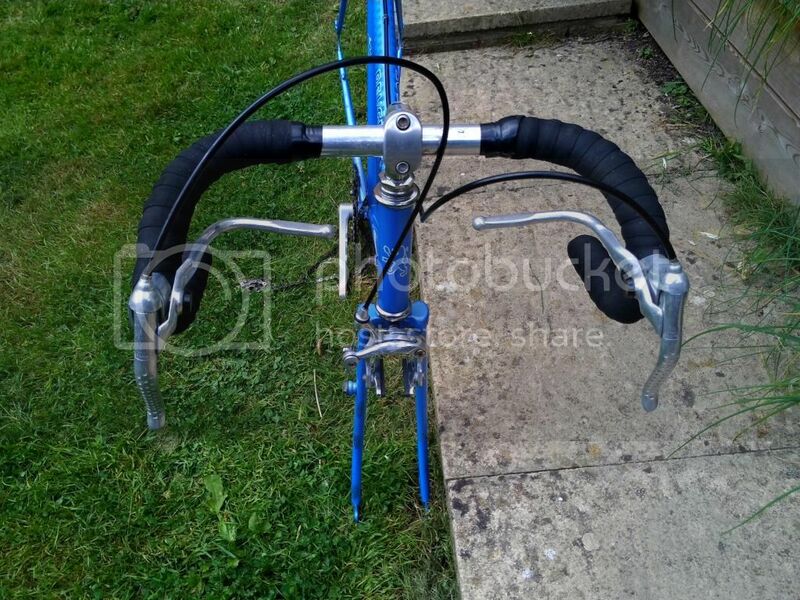 Eventually, i want to get a new crankset, new saddle (brown Charge Spoon) and new bar tape (Deda Leather Look)... 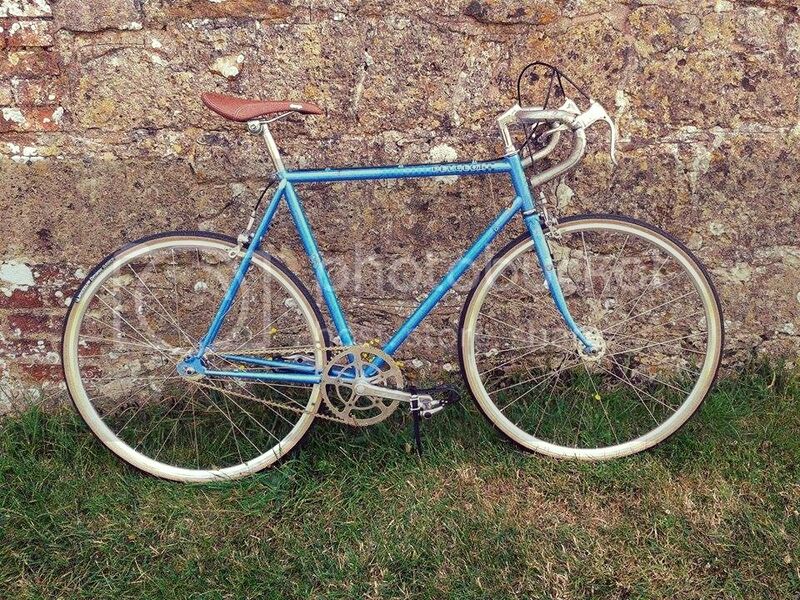 The brakes may go completely too and then i will put on a flat bar lever and front brake when i use the freewheel, but i havent decided on that yet. Will speak to my mate about it. Trying to do it with the tightest budget possible. Sub £180 would be nice. Nice one. Really looks the retro biz. I'd be tempted to remove and bin the brake lever extensions (the ones which extend toward the stem) though as they are worse than useless. I think everyone should have a bike like this at some time in their life. Looks good, and nice little write up of your experience, enjoyed that. Couple more pictures though, don't forget. Like it... Do you have any trouble with the rear wheel slipping or chain tension with it being a non single speed specific frame ? Love it. Your project has spurred me on to do something similar his autumn/winter. Never even ridden a singly but would be ideal for my commute.